A big focus of the Los Angeles Rams this offseason has been bolstering their defense, as their offense was already one of the best in the league in 2018 and returns just about everybody in 2019. To add to their defense, the Rams have already added veteran safety Eric Weddle and pass rusher Clay Matthews to the mix, while also re-signing pass rusher Dante Fowler. One area of need that they have yet to address though is an interior lineman to put next to reigning NFL Defensive Player of the Year Aaron Donald with the expected departure of Ndamukong Suh. 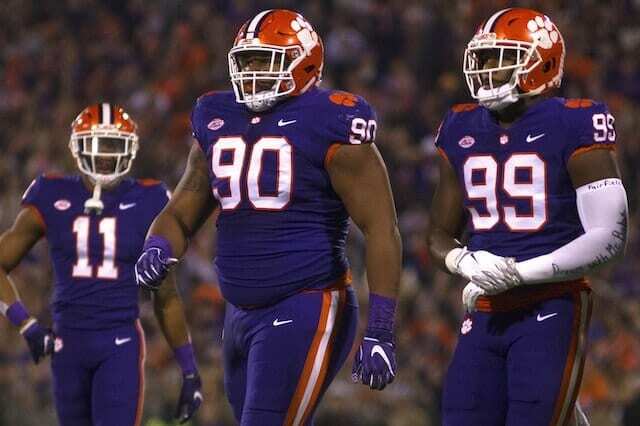 Both Clemson DL, Dexter Lawrence and Clelin Ferrell, are visiting today with the Los Angeles Rams, per source. Lawrence had a very decorated three-year career at Clemson and would make for a very viable replacement for Suh in the middle of the Rams defense. He won two National Championships in his three seasons, as did Ferrell in his four seasons. Lawrence was named the ACC Rookie of the Year in his Freshman season in 2016, and then First-team All-ACC in 2018. Lawrence had 131 total tackles, 18 tackles for loss and 10 sacks in his three-year career at Clemson. Ferrell plays defensive end, so he would be more of a pass rusher for the Rams than a run-stopper like Lawrence. He had 166 total tackles, 50.5 tackles for loss and 27 sacks in his four years at Clemson. He was named the 2016 Fiesta Bowl Defensive MVP, ACC Defensive Player of the Year in 2018, a Consensus All-American in 2018, First-team All-American in 2017 and 2018 and First-team All-ACC in 2017 and 2018.